Amir Khan 33-4 (20) believes he has all the tools at his disposable to defeat WBO welterweight champion Terence Crawford 34-0 (25) at Madison Square Garden in New York City on April 20. “First of all, he’s moving up to 147. He’s had one or two fights in the division against lower calibre fighters, who I would probably beat myself as well. The 32-year-old Khan is relishing the role of underdog and says that the doubters only serve to fuel his fire to succeed. “This is going to be one of the first times I’ve gone into a fight as an underdog, but as the bigger guy,” Khan said. “Normally I go into the fight as the smaller guy and the underdog. In this fight I’m the underdog, but I’m the bigger guy. I’ve got more experience, and I probably have the better resume. I know Terence is unbeaten, and he has a great resume and looked good in his recent fight, but I feel this is a little bit too much for him. He is quite new in the welterweight division. 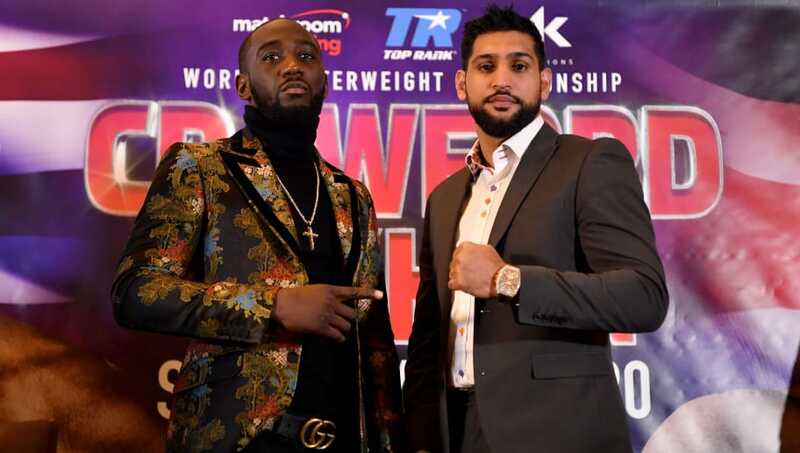 Khan accepts that Crawford deserves his place among the top five pound-for-pound best in the world but said that Crawford was yet to establish himself as a genuine welterweight. “He’s up there in the top five in the pound-for-pound. There are a lot of great fighters in boxing. He’s up there. I don’t have him at number 1 or number 2. He is very dangerous. He is very tough to beat, but I really believe I have the skills and the tools to do that,” Khan continued.